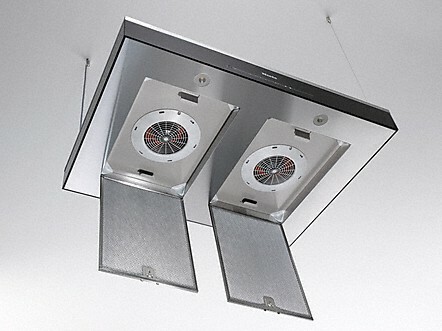 Cooker hood with energy-efficient LED lighting and light-touch switches for easy use. Full power when required: the Intensive setting is efficient at extracting strong cooking vapours and odours. Sensible, even in case of operating errors: the rangehood will switch itself off automatically after 10 operating hours.